Uniforce offers high quality imaging solutions through a number of excellent products by the leading manufacturers in the industry. 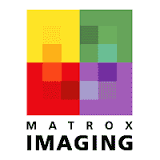 Uniforce is the exclusive distributor of the Matrox imaging products in Northern California and San Diego area, and only we can sell Matrox imaging products in these regions. CMOS and CCD area and line scan cameras are available for a wide range of applications from companies including Imperx, Mikrotron, IO Industries, KAYA Instruments, and Teledyne Dalsa. In Northern California and San Diego, Matrox frame grabbers are available exclusively from Uniforce. We also offer Imperx, BitFlow, and Epix frame grabbers. 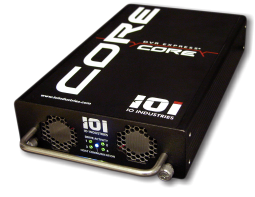 Uniforce offers complete high performance Imaging Systems. Video recorders and instrumentation are available from IO Industries and ITS (Instrumentation Technology Systems). Matrox imaging computers in 4Sight and Supersight series are available. Low cost, industrial level robotic arms. Available in 500mm and 750mm reach, 5 or 6-axis, and in high speed or high payload options. Software is available to complement the hardware products. High performance encoders and decoders delivering up to 4K Ultra HD H.264 video at stunning performance levels. Matrox Indio provides the industrial I/O and communication capabilities to turn any PC running Matrox vision software into a genuine vision controller. It provides discrete inputs and outputs managed in hardware for the real-time synchronization of a vision application with automation devices. Lens products from Zeiss, Schneider Optics, Kowa, Tokina, Goyo Optical and Opto Engineering are available. Uniforce Sales has a wide variety of Optical Filers from Schneider Optics and Midwest Optical (MidOpt). A full line of Advanced Illumination lighting is available for a wide range of Machine Vision applications. Matrox Professional Video is a technology and market leader in the field of HD and SD digital video hardware and software for accelerated H.264 encoding, realtime editing, audio/video input/output, streaming, A/V signal conversion, capture/playout servers, channel-in-a box systems, and CGs. CEI Machine Vision Enlosures are rain and dust proof enclosure that houses a wide variety of cameras. It is designed to protect small form factor cameras from adverse weather conditions. If you don’t see the product(s) you are looking for, please contact us via email (insert link to our contact form) or call us at +1-510-657 – 4000.